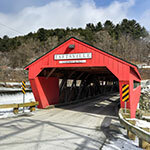 Inns of Southern Vermont, which includes the towns of Mount Snow, Bennington, Brattleboro, and Manchester, are tucked into every part of this beautiful state, from the ski mountains to the farming valleys to the historic and culturally hip cities and towns. 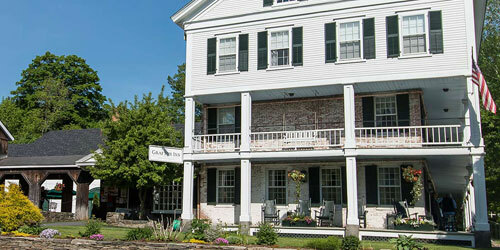 Southern VT inns are intimate, cozy, and often located in centuries-old, historic dwellings close to nearby craft shows, music and art festivals, golf, fishing and theater. Some offer fine dining. Amenities can include Jacuzzis and hot tubs, swimming pools and saunas, and balconies or decks. 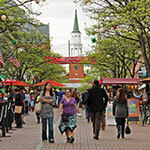 In summer, Southern Vermont has craft shows, music and art festivals, golf, fishing and theater. Fall brings the glorious colors for which Vermont is famous. Winter offers plenty of outdoor activities from skiing to snowmobiling. And there's plenty of antiquing, and gallery hopping all year round. Antique furnishings, fireplaces, marble baths and original, museum-quality artwork along side contemporary comforts - such elegance will surround you when you stay at The Reluctant Panther in Manchester, VT. Each of our 20 spacious rooms are designed to create a truly gracious and relaxing overnight experience. Our award-winning restaurant will complete your experience, with the finest farm-to-table fare fused with the culinary expertise of Executive Chef Sigal Rocklin. The Reluctant Panther is indeed a rarity, a country inn that offers refinement, not quaintness. Located 35 miles north of Brattleboro, the Grafton Inn is one of the oldest operating inns in America opening its doors in 1801. 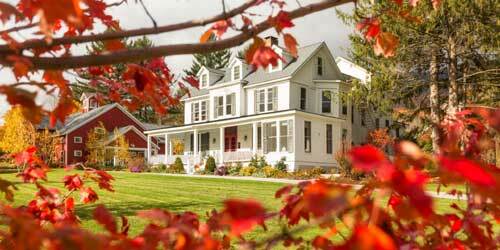 Experience New England as it used to be in romantic Grafton, Vermont, with picturesque scenery and simple pleasures. Enjoy renowned hospitality and distinctive accommodations with amenities that include onsite yoga classes and massages, a fitness center, swim pond, paddle tennis court, game room, and in-room private bath and complimentary WiFi. You’re near the areas major attractions, recreational activities and events and the Inn’s own Grafton Ponds Outdoor Center offering activities for all ages on 2,000 acres of trails and grounds. Savor fine dining in The Old Tavern Restaurant and casual fare at Phelps Barn bar and pub. Heading to Vermont for skiing, hiking, or golf? Stay at the Inn and Manchester and make your trip a memorable one. You won't find a more comfortable or relaxing B&B. 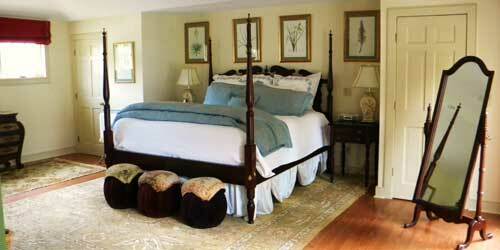 We've got 21 rooms, including suites, and some include fireplaces and offer mountain views. Every room is equipped with a flat-screen TV, a massage shower head, distinctive toiletries, and air conditioning. An ample country breakfast is served every morning, and complimentary hot and cold beverages are available all day. Enjoy a glass of wine in our fully-licensed pub. Our public areas feature fireplaces and offer games, puzzles and books. WiFi access is available, and we've got a computer for your use. In summer months splash in our secluded pool. Explore Manchester's great shops, galleries, and great restaurants. Vermont’s rural beauty embraces this comfortable place, where three buildings –the Main House (1830), the 1790 House, and the Farm House -- have been re-created into places of rest and enjoyment, with activities year-round. 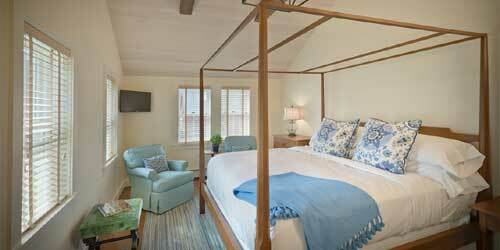 The inn offers old-fashioned comfort and modern amenities for couples, parents and kids, and groups. The main buildings have luxury suites or rooms with lavish custom bathrooms. The day opens with breakfast featuring local eggs, jam, and maple syrup. Groups of up to eight can stretch out in the free-standing, two-story farm house with a modern kitchen and Vermont Castings stove for frosty nights. On-site entertainments include our new swimming pool, walking trails, game room with a pool table, an outdoor fire pit, a pub, and a barn with friendly farm animals to visit.